Whatever you desire to do on Lake Texoma – be it boating, fishing, swimming, hiking, camping, or just plain relaxation, Walnut Creek Marina Resort is the perfect getaway for you! Walnut Creek has 4 full hookup sites which include water, electric, and septic and 15 partial hookup sites which include water and electric. Guest boat slips are available for $5 per night so you don’t have to trailer your boat after a day of fun on Lake Texoma. Men and Women’s public bathroom and showers are onsite. 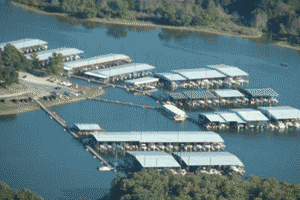 Walnut Creek Marina Resort also has 2, 4 and 6 person cabin rentals. Walnut Creek rents and sells OCEAN KAYAKS. They are stable, easy to use, and affordable. You may rent a kayak by the hour or day.